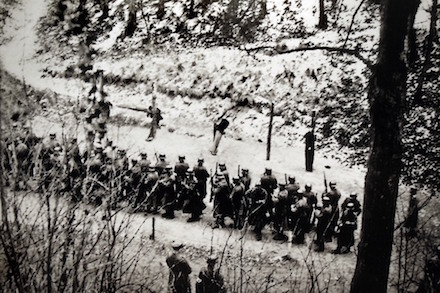 On this date in 1944, 22 members of the anti-Nazi French Resistance’s “immigrant movement” Francs-tireurs et partisans – main-d’œuvre immigrée (FTP-MOI) were executed by firing squad on the outskirts of Paris. 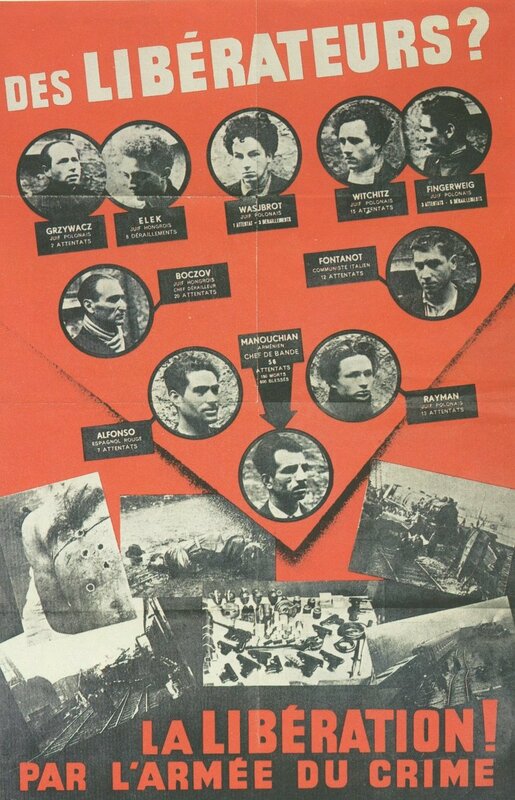 To this day in France, the backfiring propaganda sheet is one of the best-recognized artifacts of the Resistance. 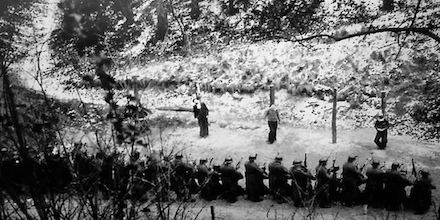 The executions were naturally conducted quietly; the Germans strictly forbade public access to or photography of Resistance heroes in their martyrdoms for obvious reasons. That made it especially surprising when a few pictures of this execution surfaced recently, surreptitiously snapped from an overlooking vantage by German motorbike officer Clemens Rüter, who kept them hidden for decades. They are to date the only known World War II photos of French Resistance members being executed. ** We’ve noted before that a Polish Jew named Joseph Epstein who was part of the same cell (and a prime candidate for racist demagoguing) avoided a place on l’Affiche Rouge thanks to his preternatural talent for remaining mum under interrogation.